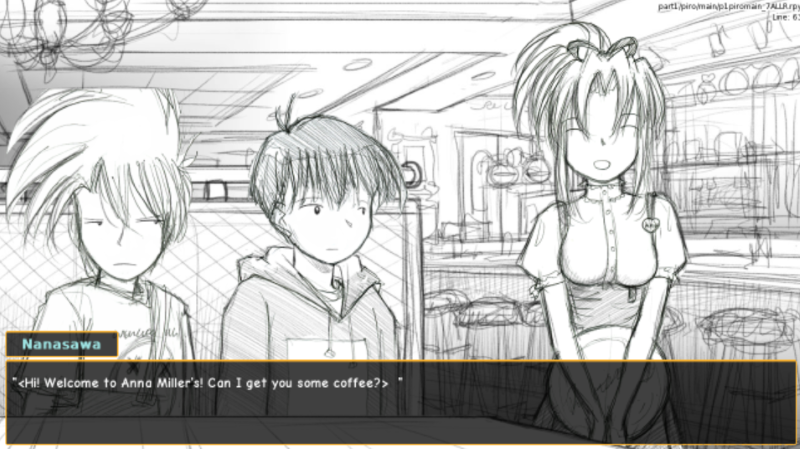 We made more good progress on the Visual Novel over the last two weeks. Fred seems pretty happy with how things are going now, with the system we have in place. The pace should continue to pick up as we go along. We’re starting to get to parts of the comic where locations can get reused, like Anna Miller’s, Tsubasa’s apartment, and Megagamers. 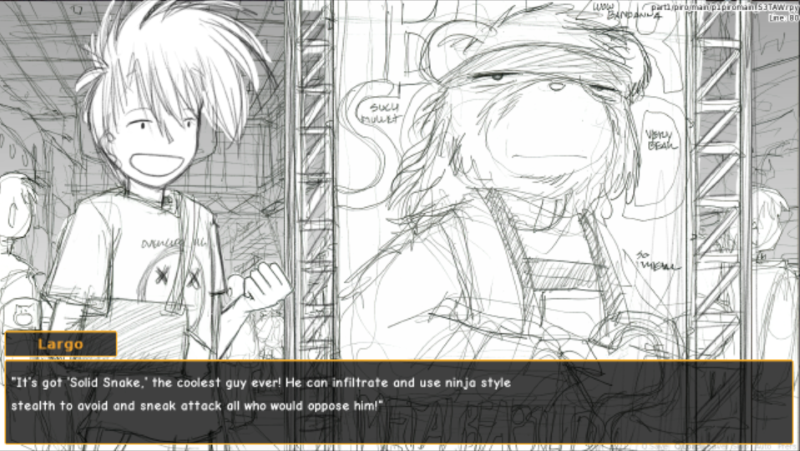 It’s much less work to adapt an existing drawing than to have to create new for every scene. The same will apply to the characters as we have more scenes where they stay dressed the same. Chemiclord has been working on script for Piro’s thoughts during the train rides to and from Narita airport and such. It’s looking good. TheShaggyFreak has made more progress on the background music and sound effects. 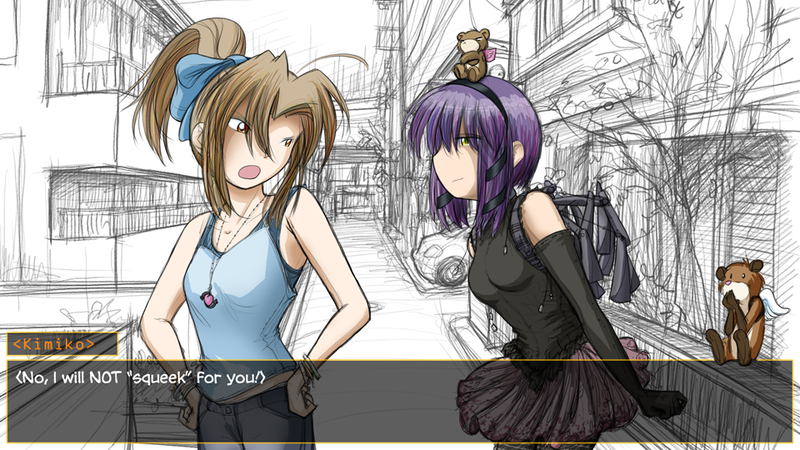 If you are a registered beta tester, check out the beta section of the VN forum for some samples. We’re over a year now since the Kickstarter ended, and there is still a long way to go before the game is finished. But it feels like we’re really making progress now, and the game itself looks like a lot of fun. Thank you for your patience. Fred and the rest of us on the team are doing our best to make this game well worth the wait. This entry was posted in Visual Novel on August 2, 2014 by paarfi.